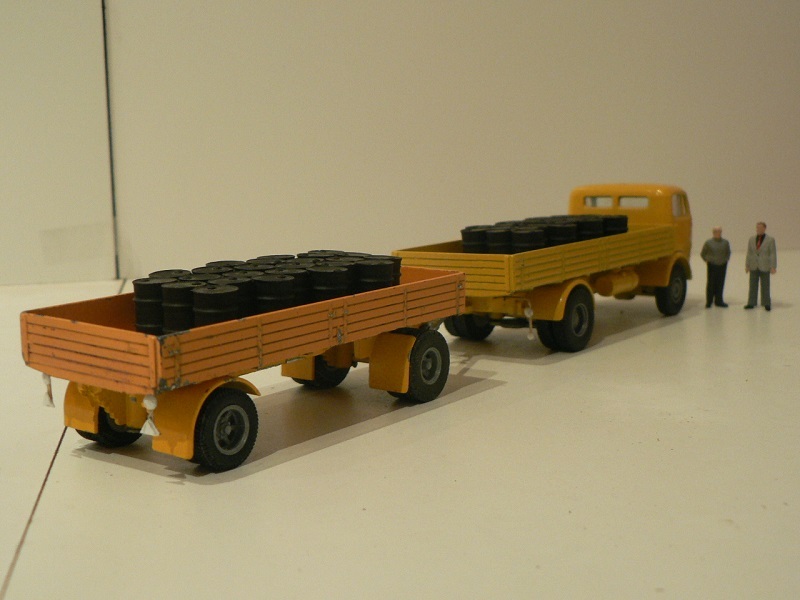 Guy very nice old pieces you have, how long before they go to paint. 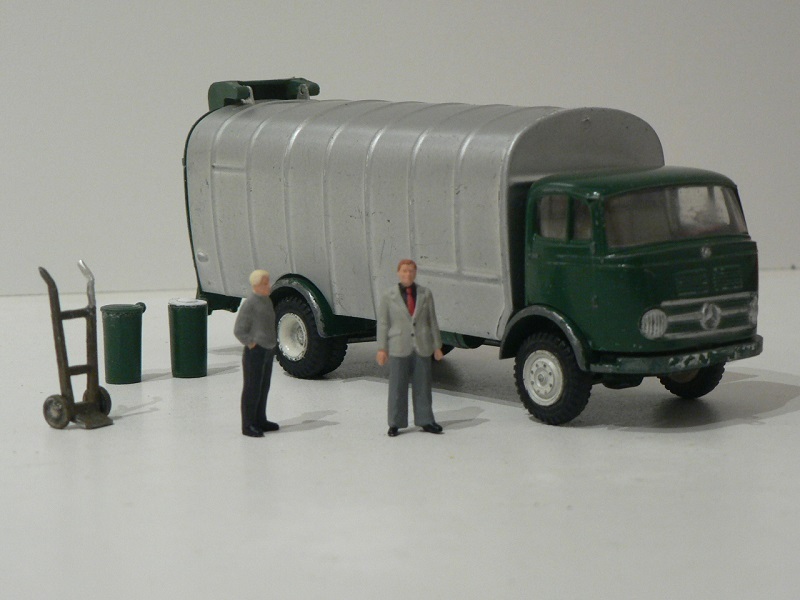 The milkman is dressed like the CEO of a multi national company, boy how times have changed. 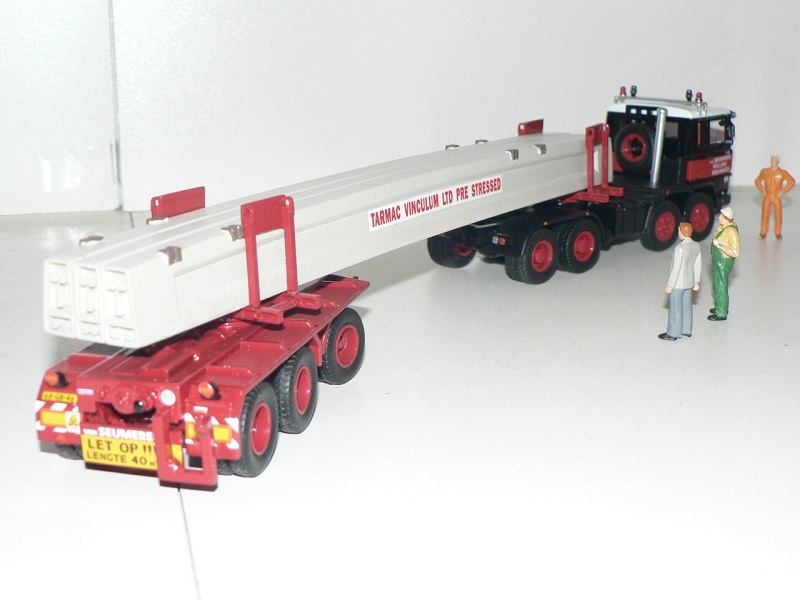 In the 80s, in order to manage a transport contract for 804 prestressed concrete beams of approx. 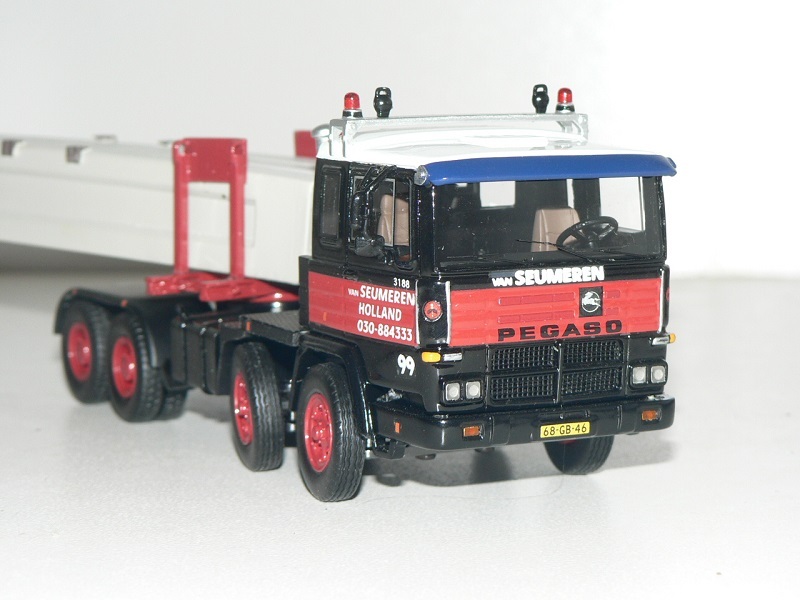 35 metres in length, the Dutch craneage and transport company Van Seumeren turns 2 second-hand Spanish tippers into tractors. 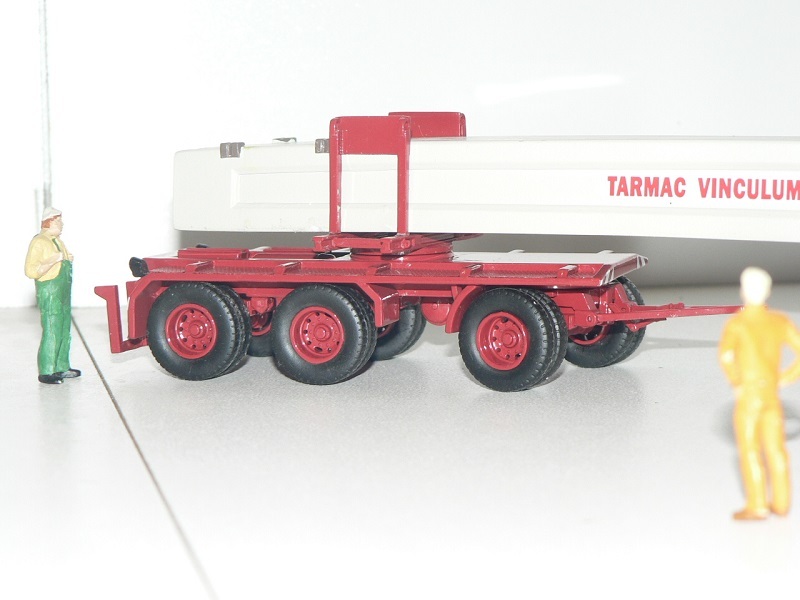 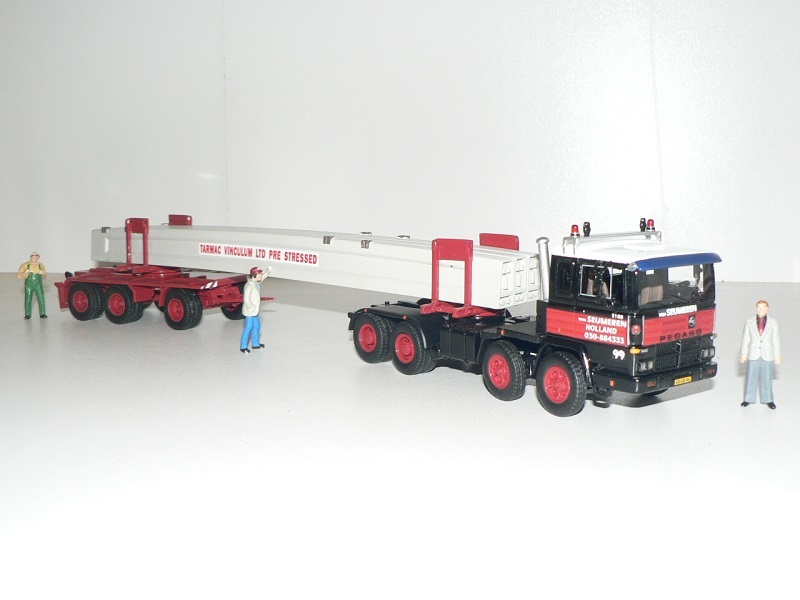 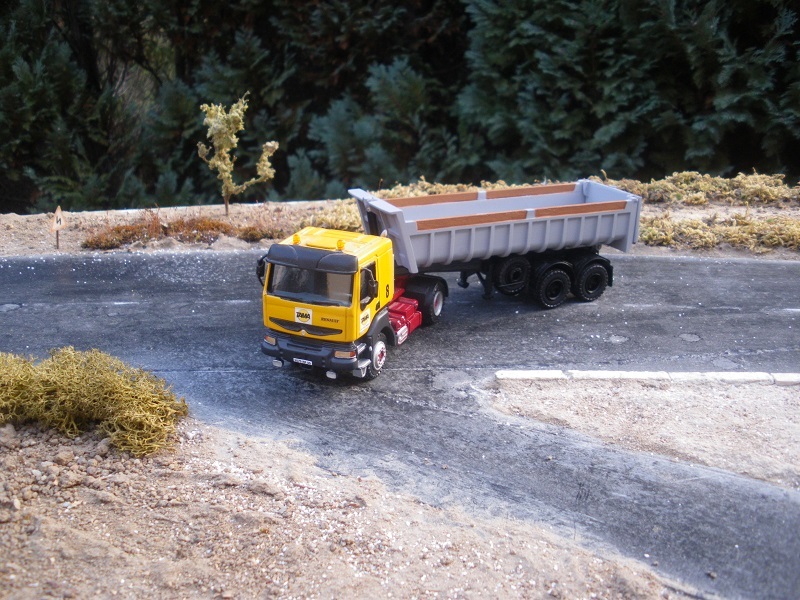 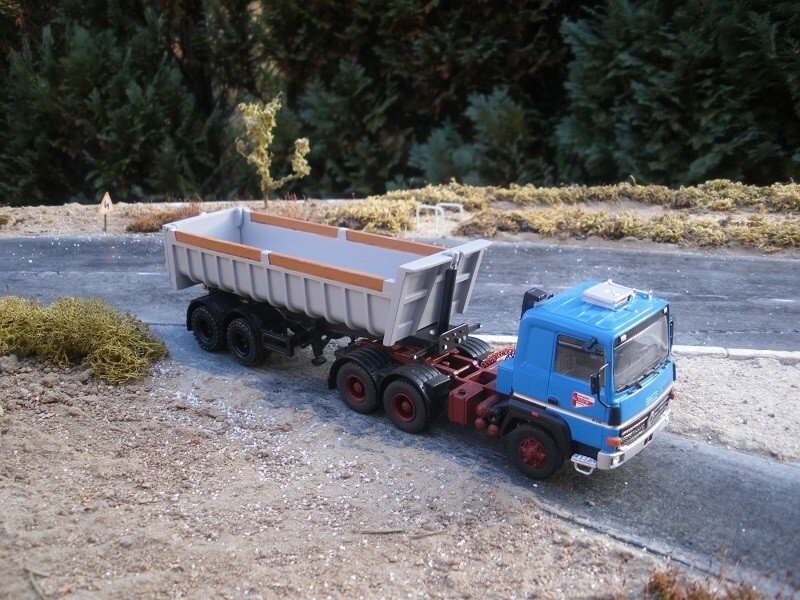 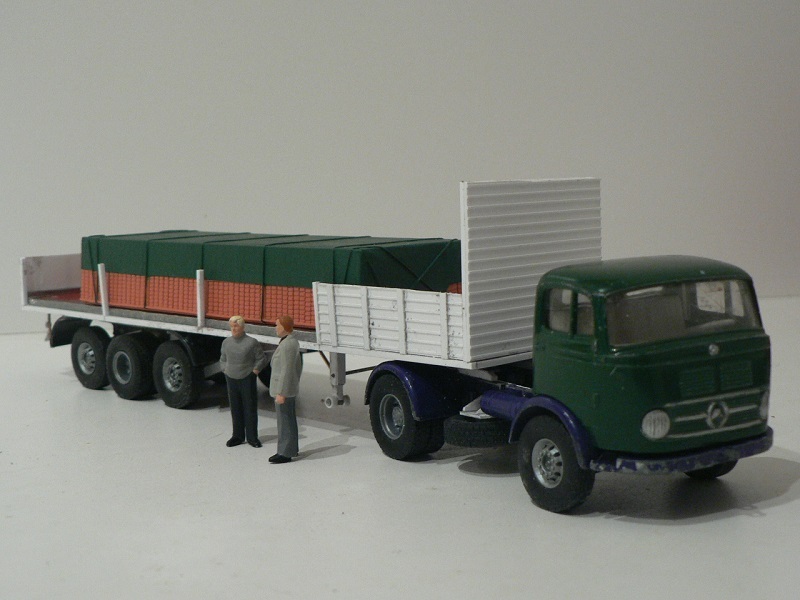 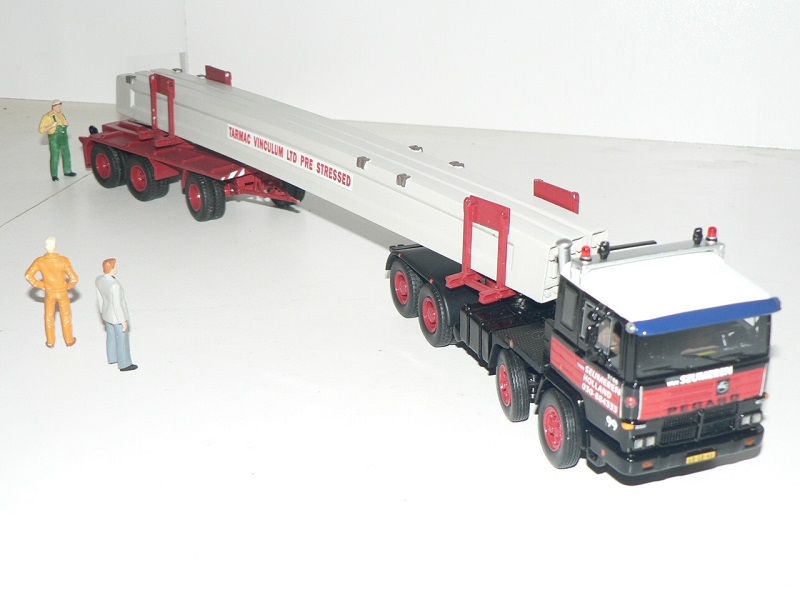 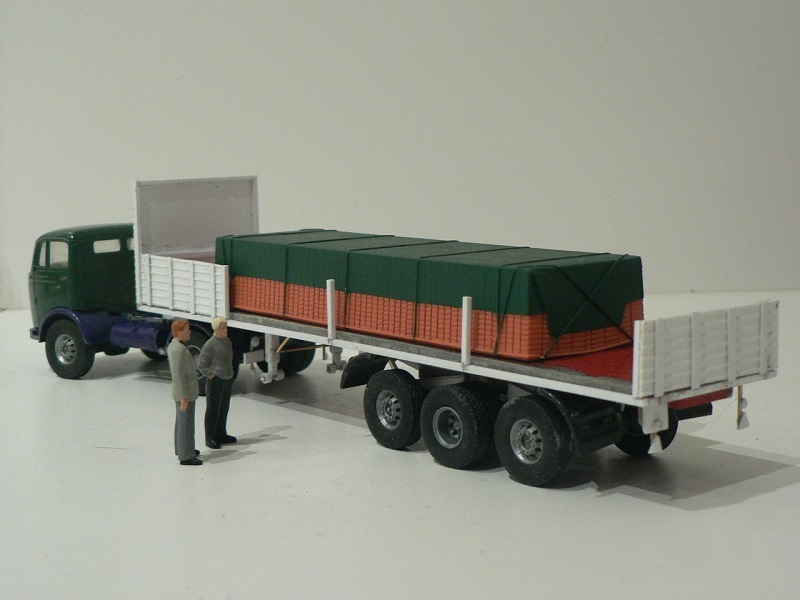 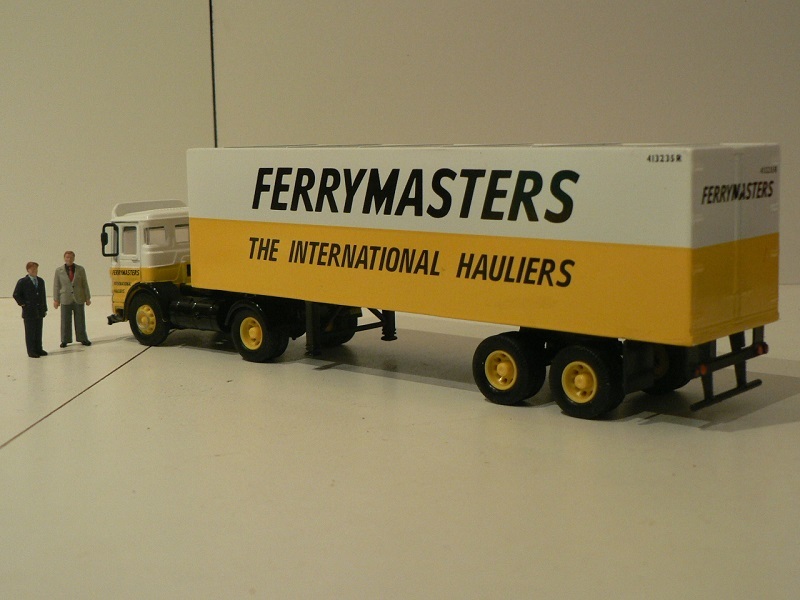 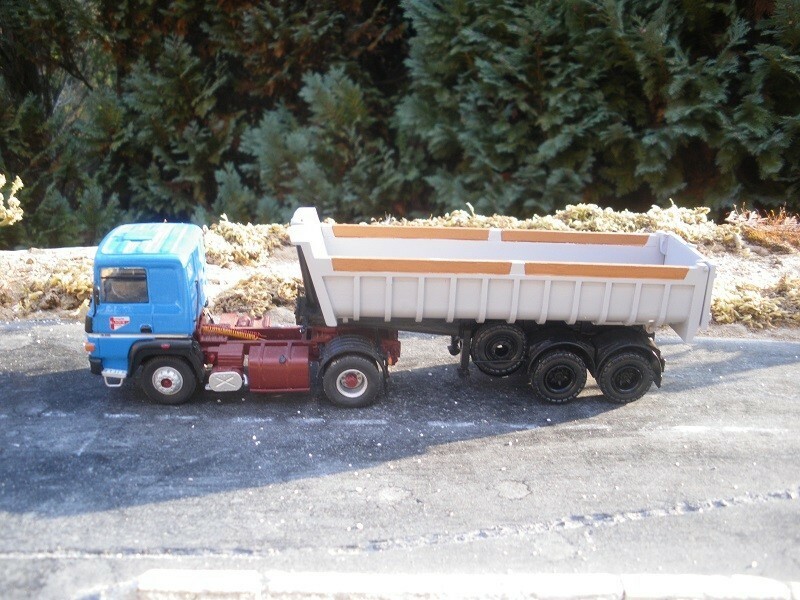 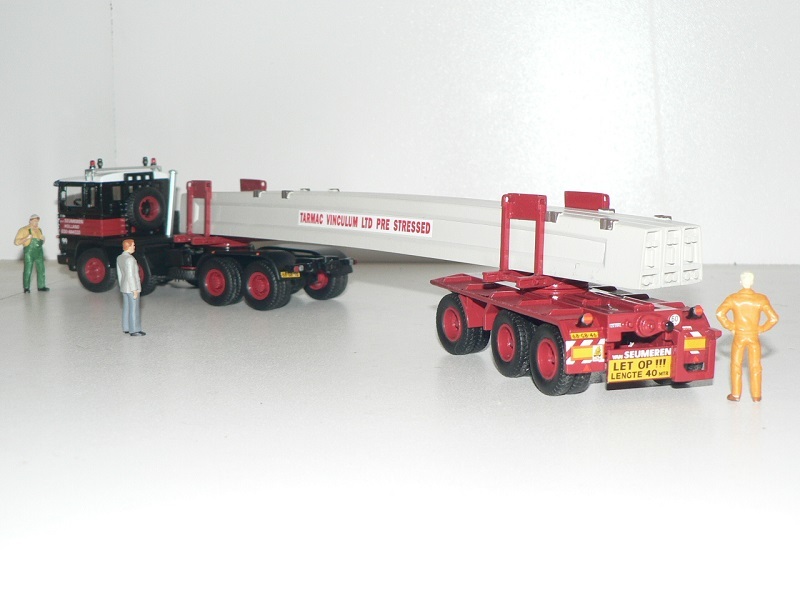 Pegaso 3188/10 8x4/4 tractor and Goldhofer SN3-25/80 1+2-axle self-steering dolly with bolsters (modified IMC models) carrying 3 motorway bridge Tarmac Vinculum prestressed concrete beams of 11.47 tonnes each (Corgi load). 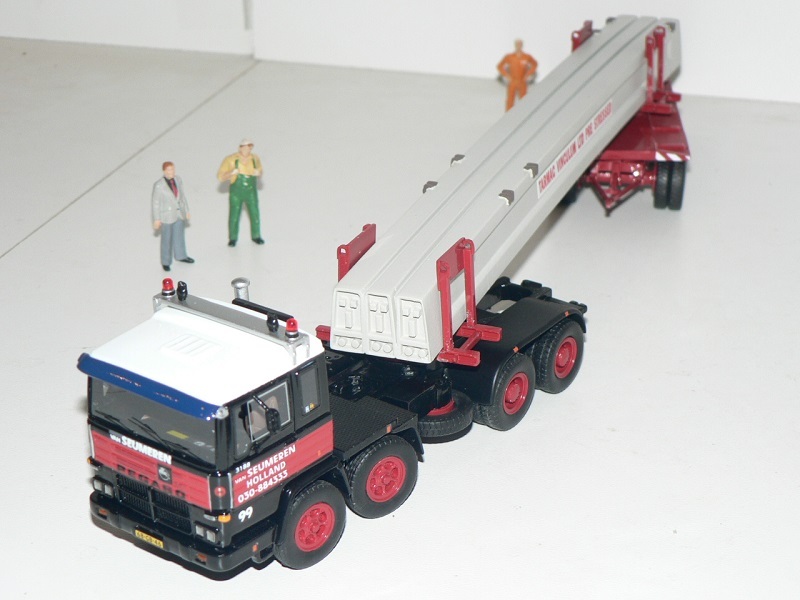 Guy that is a nice beam carrier, the dump is also very nice. 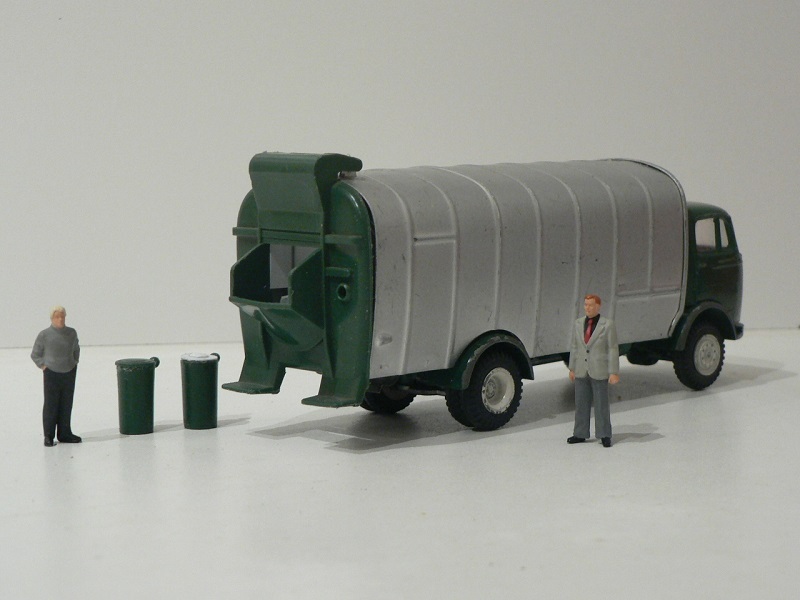 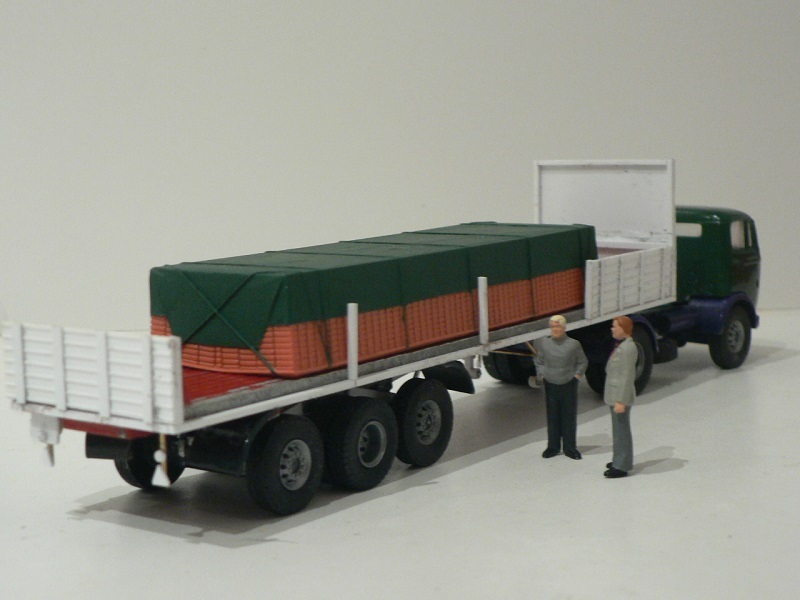 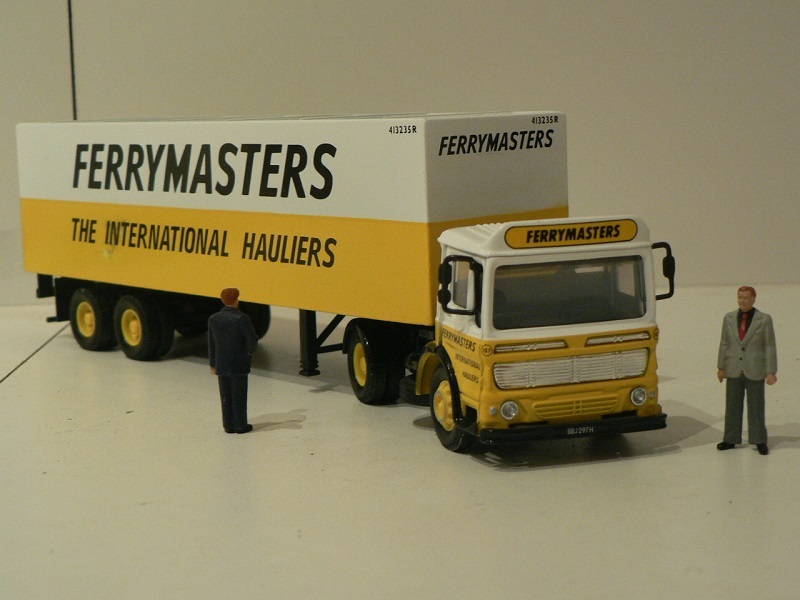 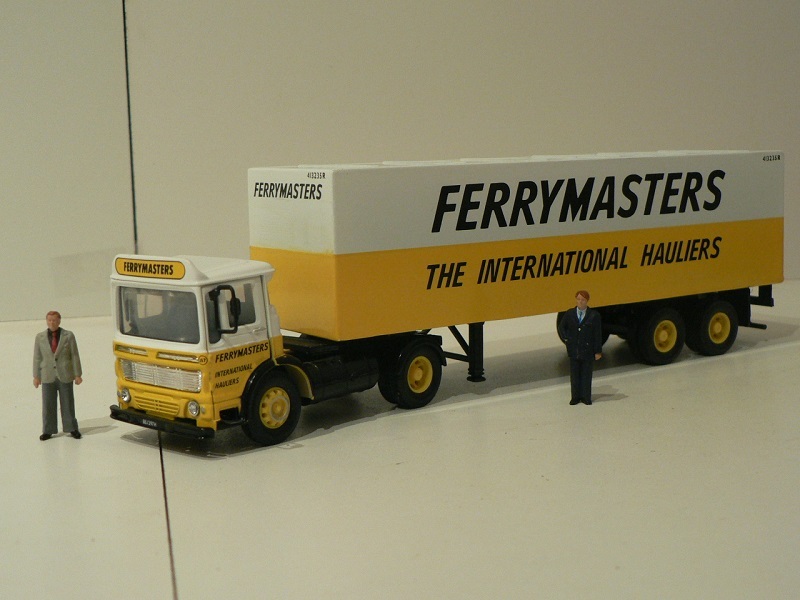 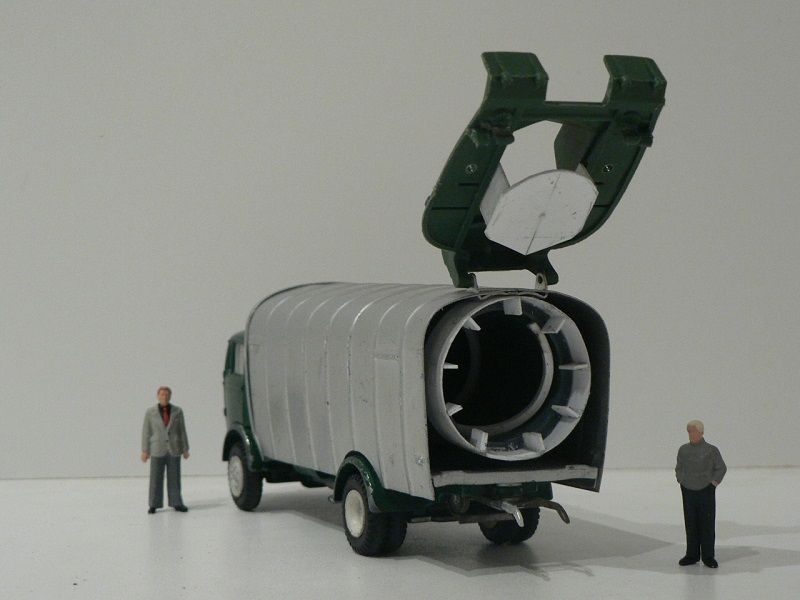 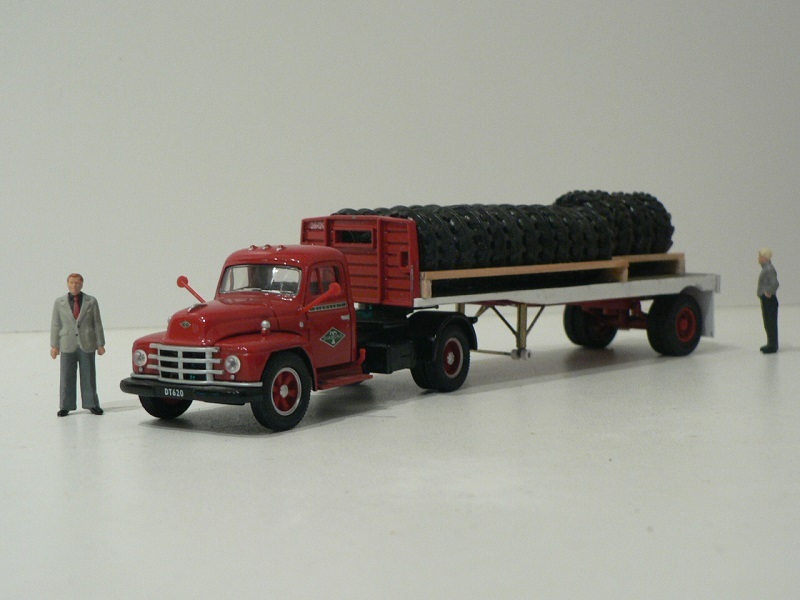 Guy nice models, really like the propane tanks and hand truck. 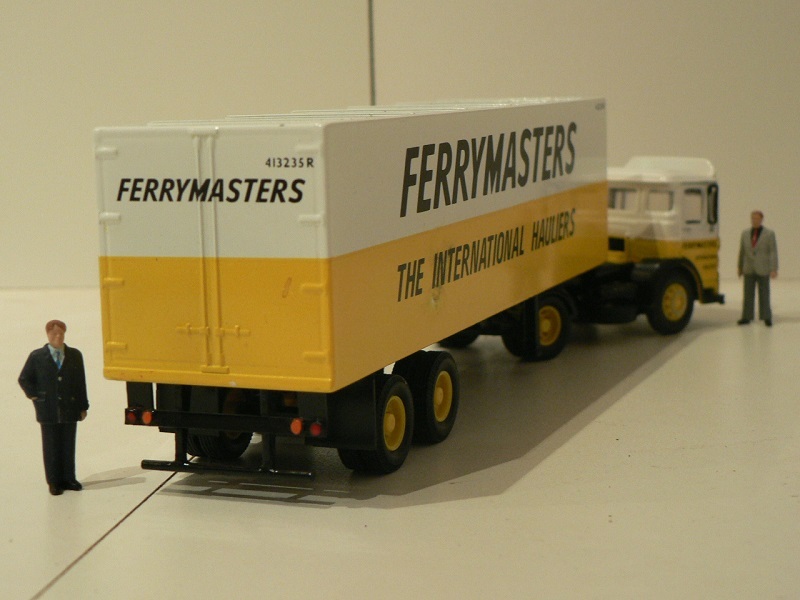 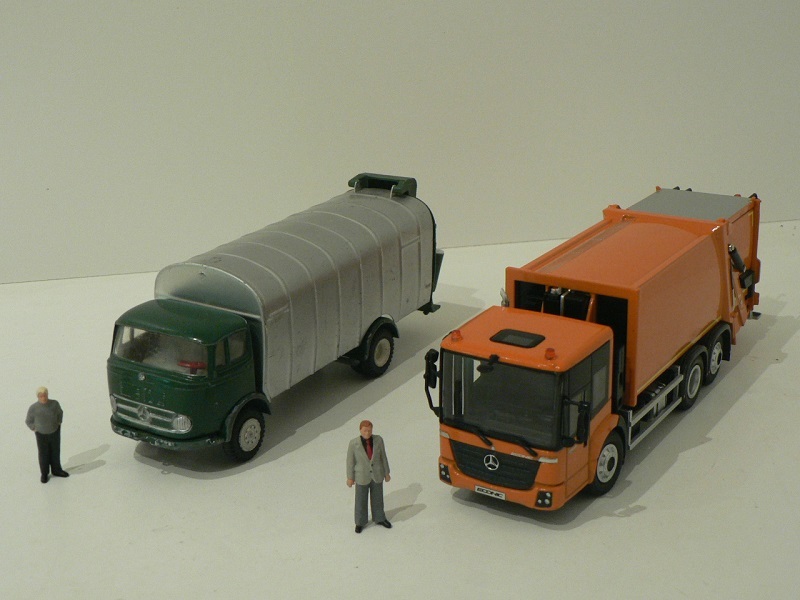 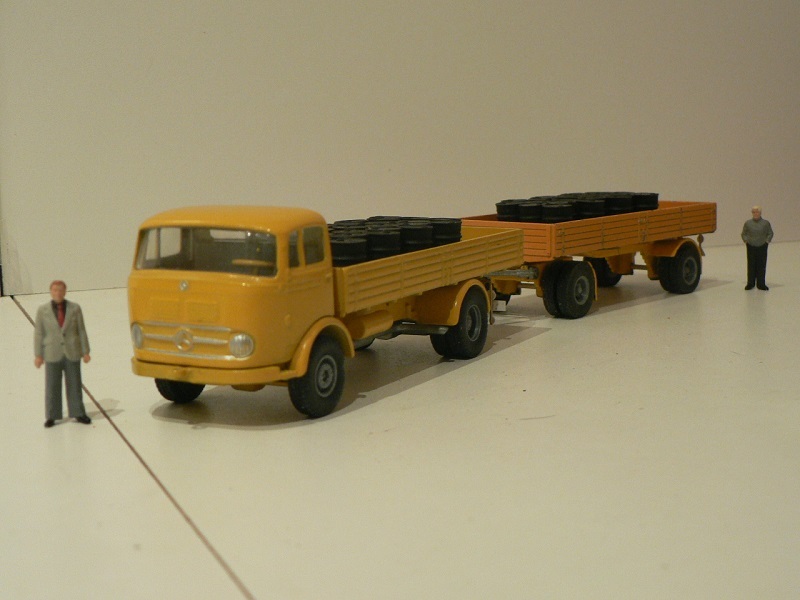 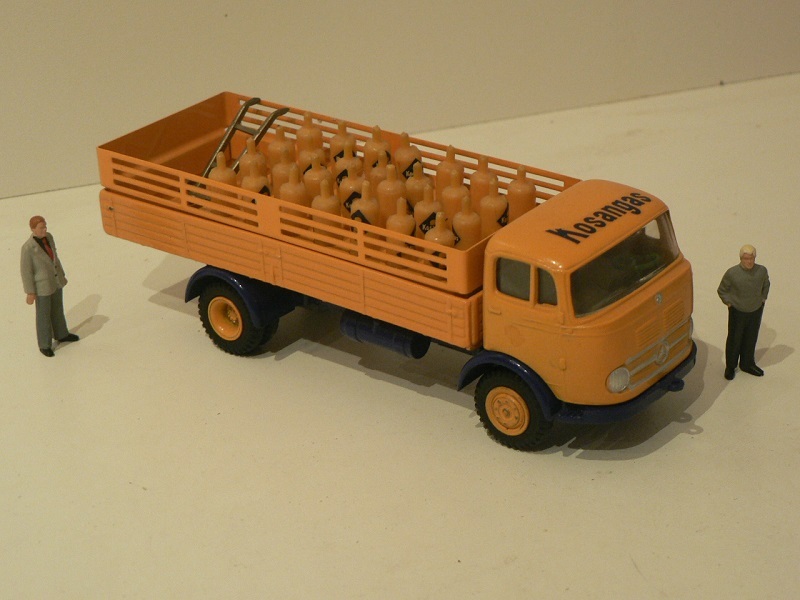 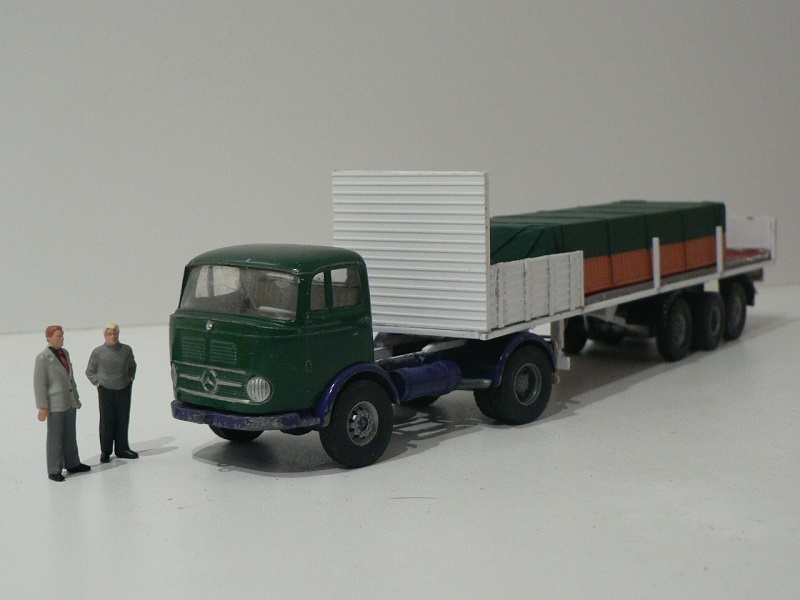 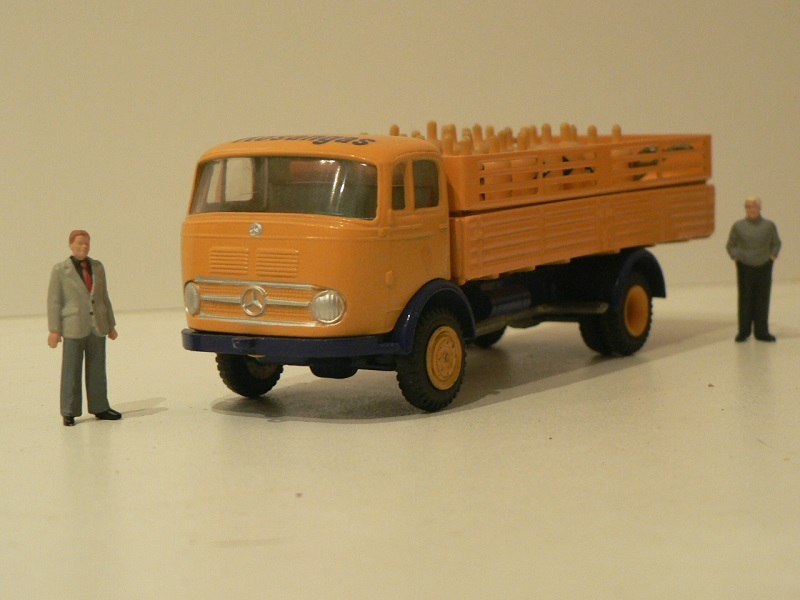 A few other old Tekno Denmark models used to build various "round cab" Mercedes-Benz units, sold in West-Germany and Europe from 1955. 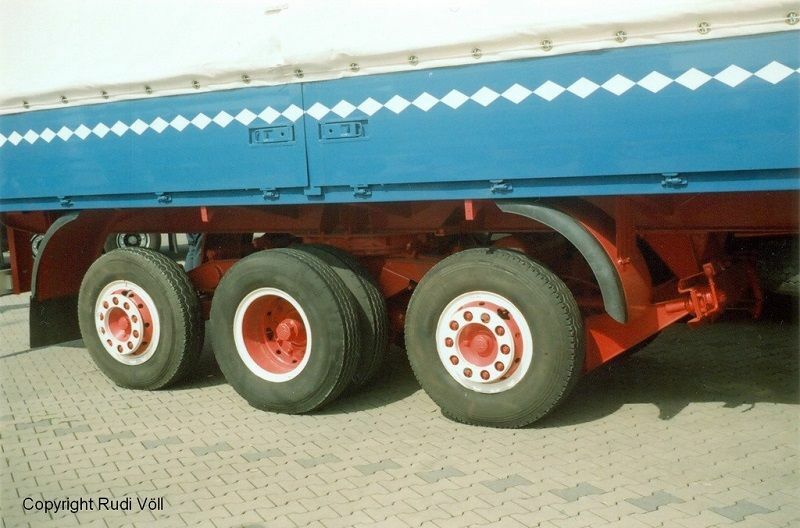 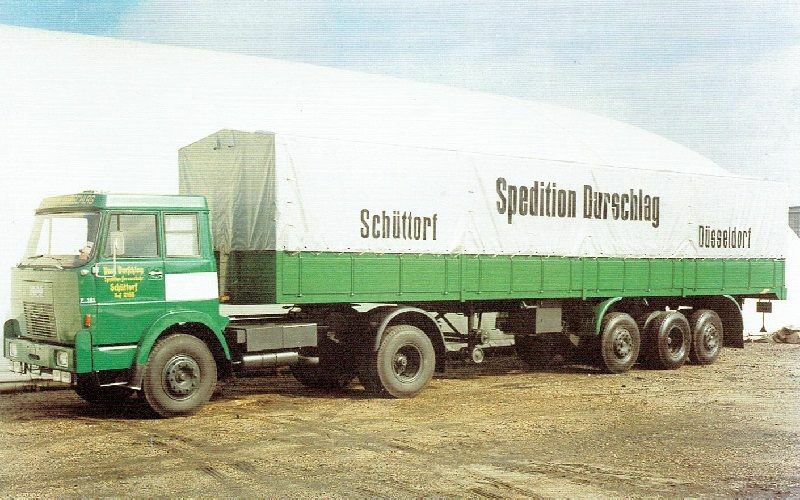 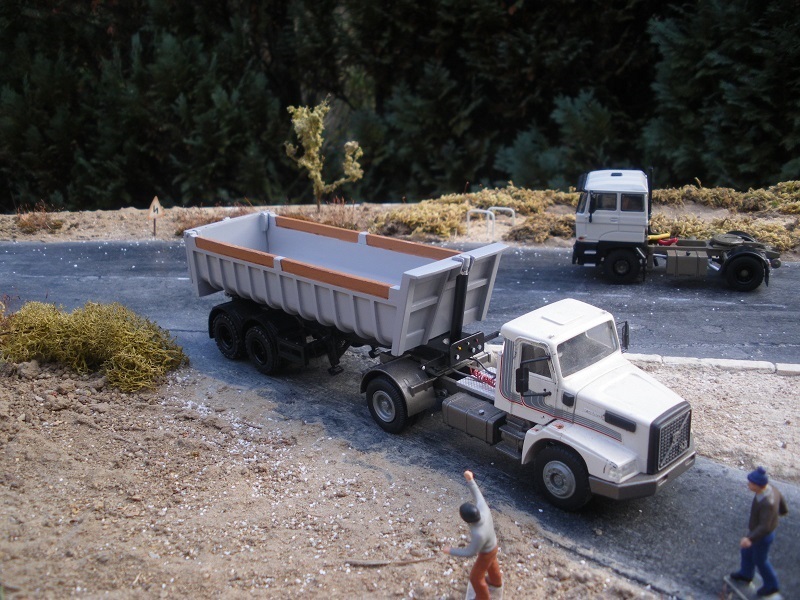 Note*: the Schmitz semi-trailer modeled was fitted with their patented "Spur Aggregate" tridem, allowing for some sort of lateral movement in curves and thus, reducing combination overall turning circle. 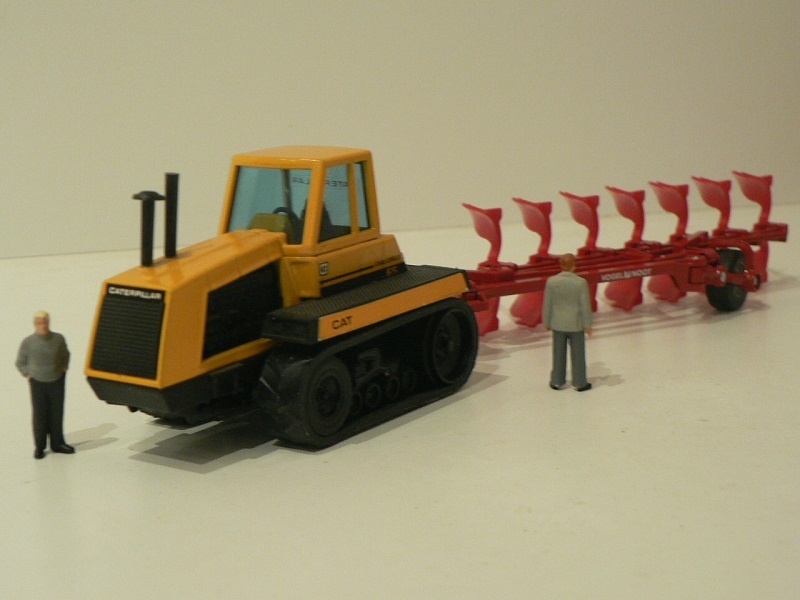 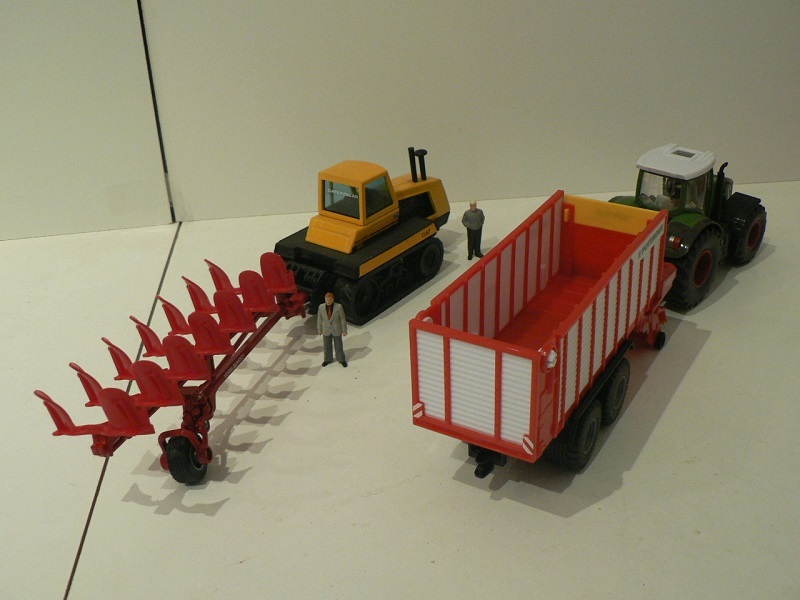 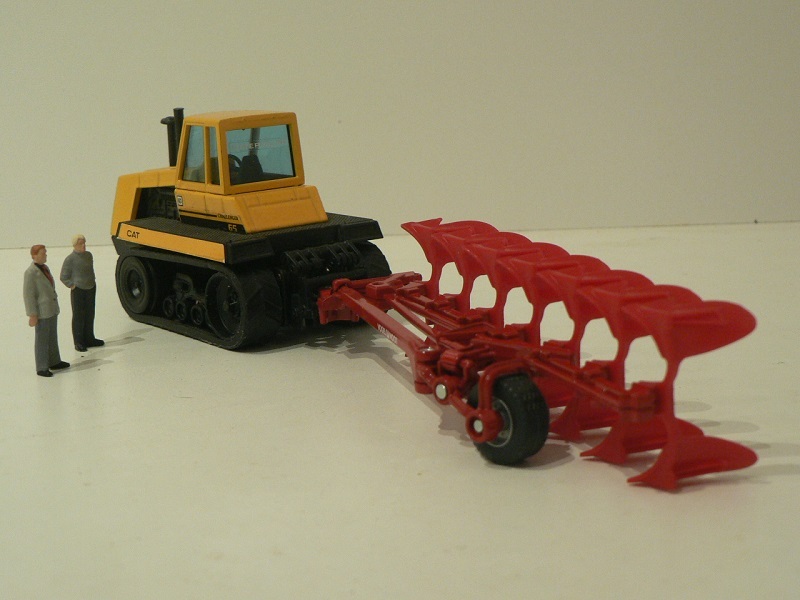 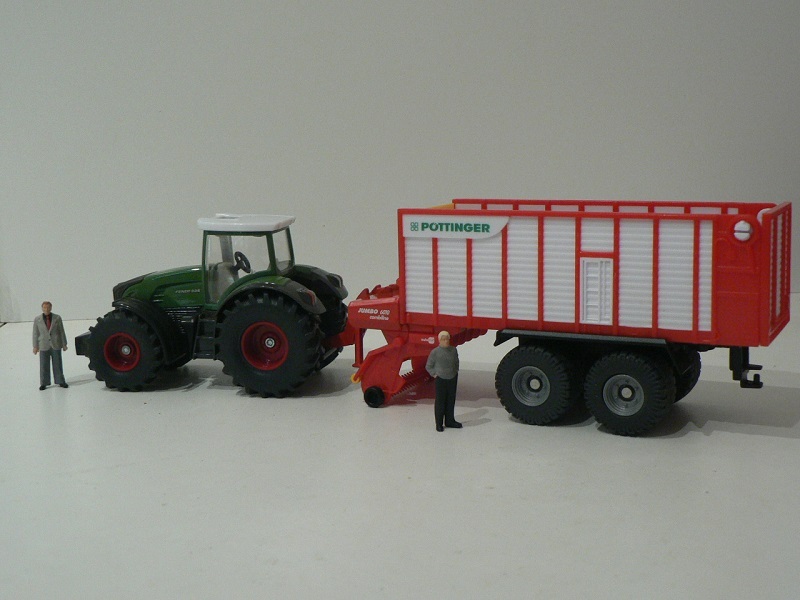 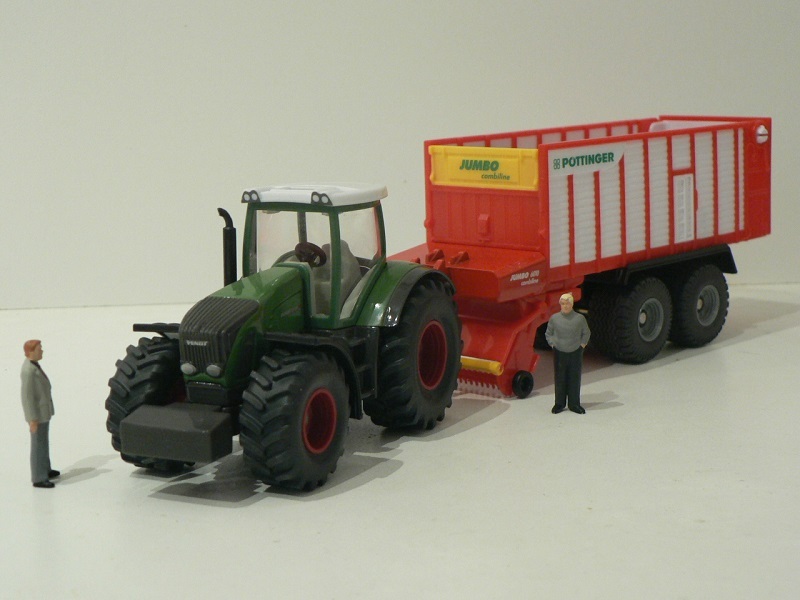 - on the right: Fendt 936 Vario 4x4/2 tractor and Pöttinger Jumbo 6010 Combiline 2-axle harvester trailer (Siku models). 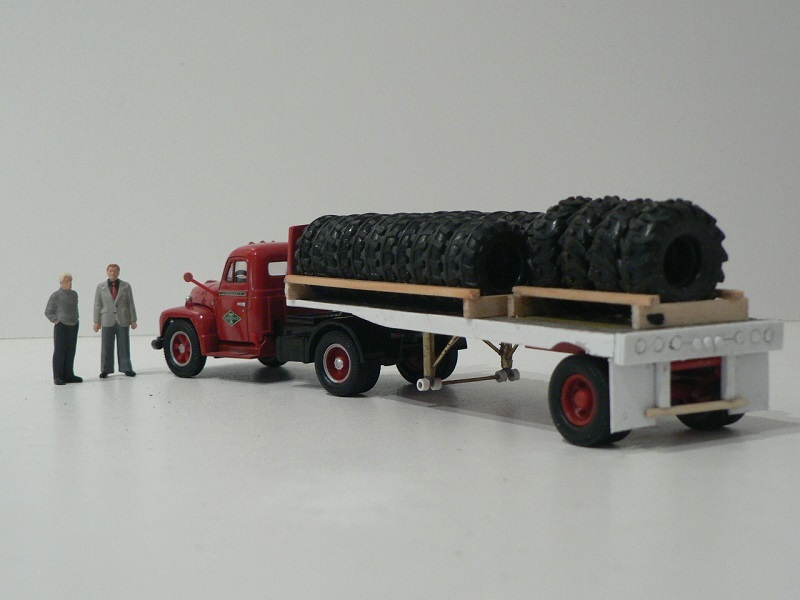 Guy love the load test, how many models were sacrificed or customized for the tire load. 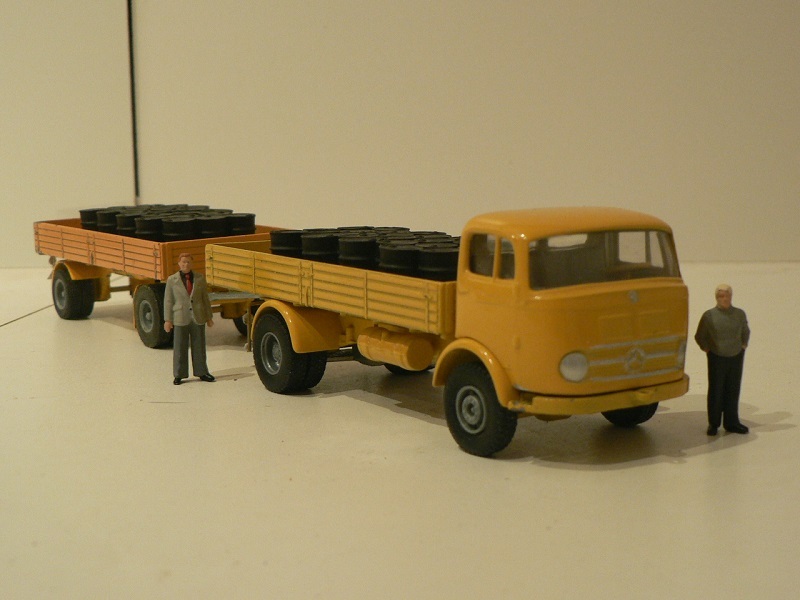 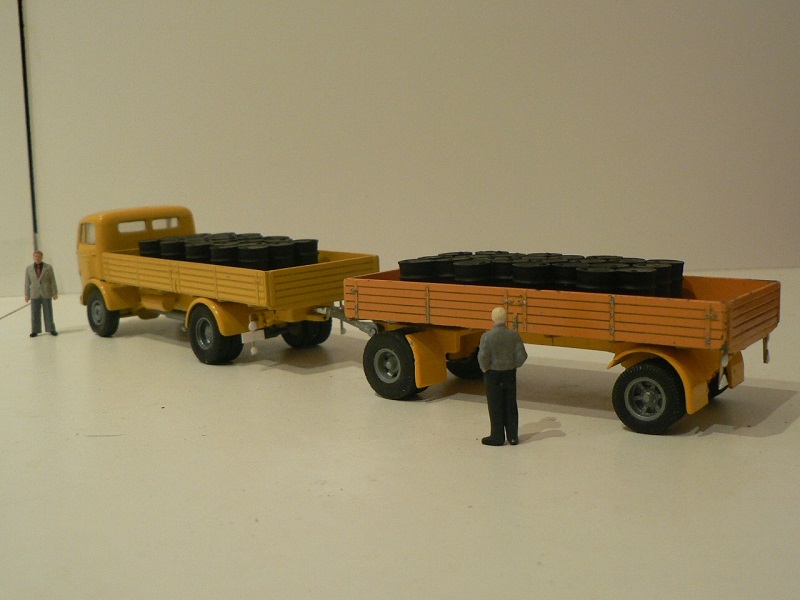 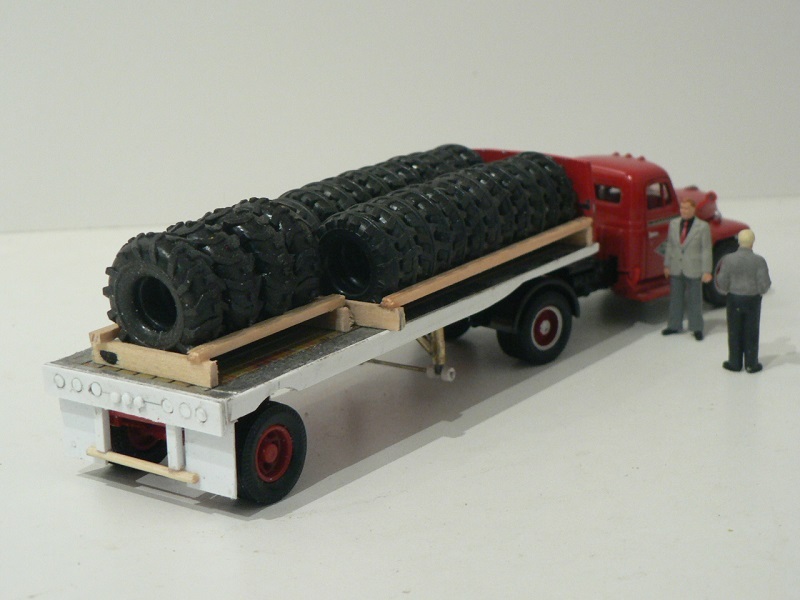 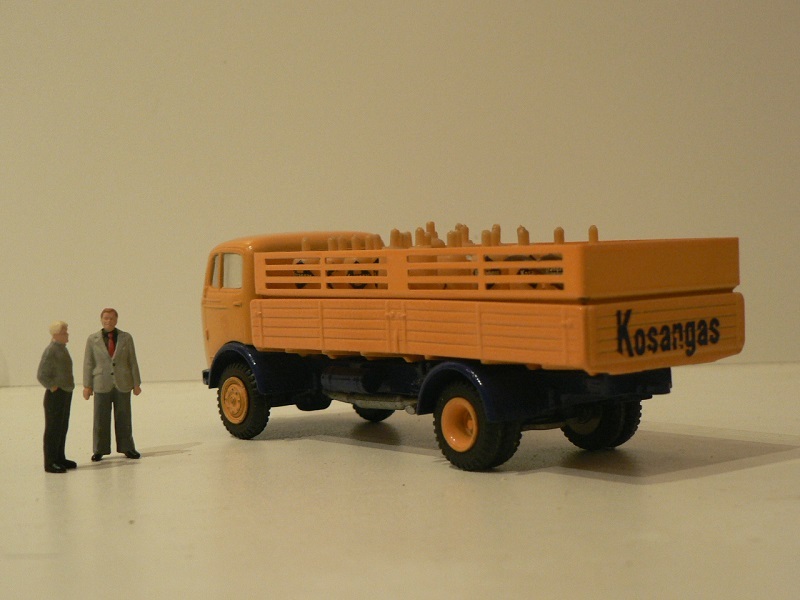 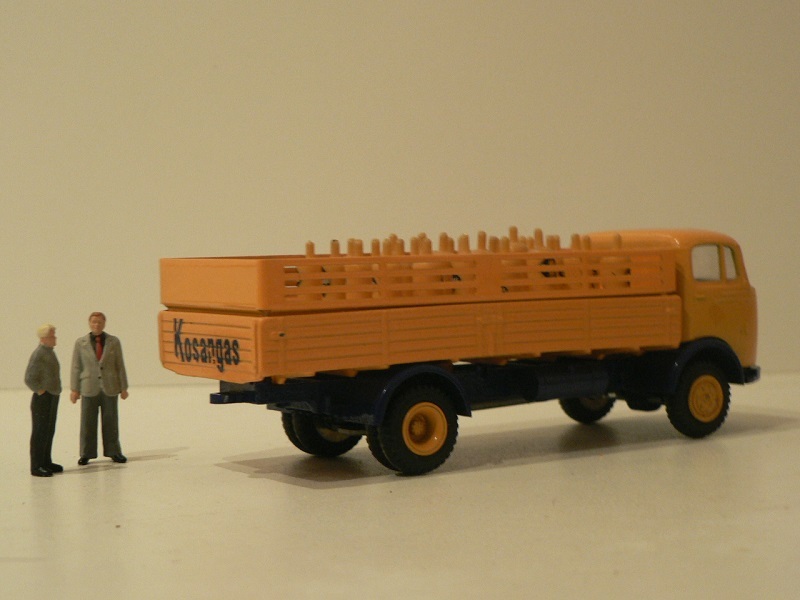 None was sacrificed as early Conrad and Gescha trucks models were all fitted with these strange tires: I have changed them for more conventional ones and ended with a large number of "agricultural-type" tires. 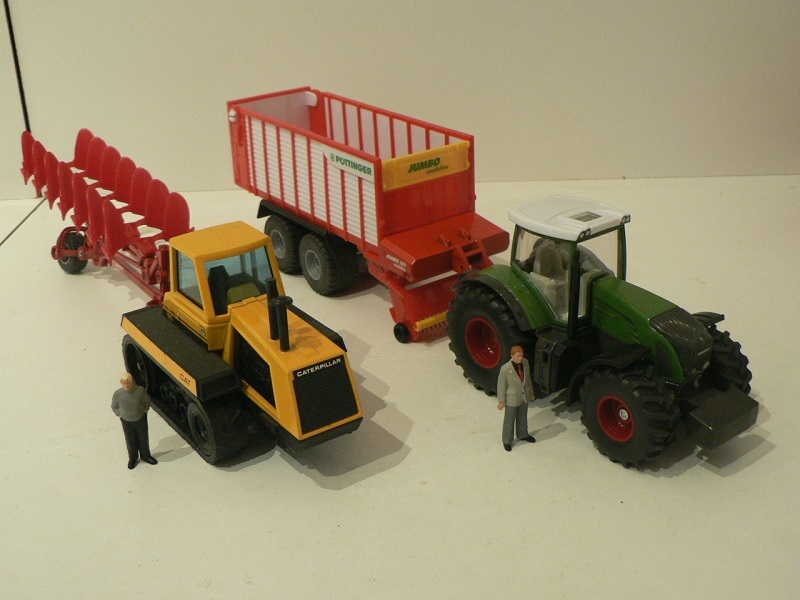 The only use I found for them since was to turn them into loads. 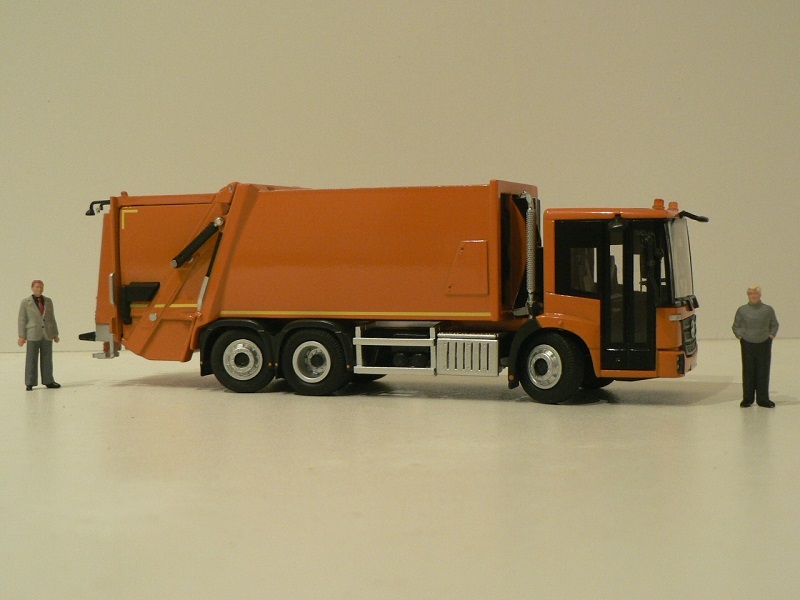 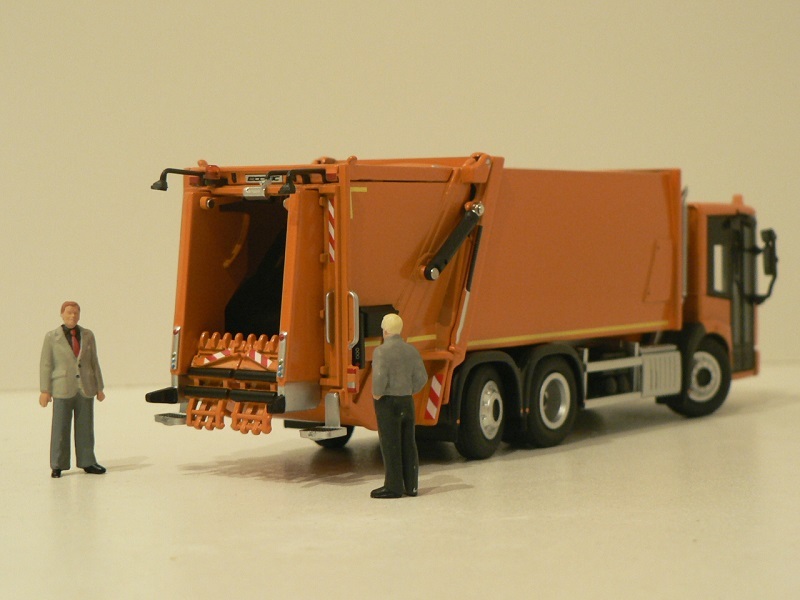 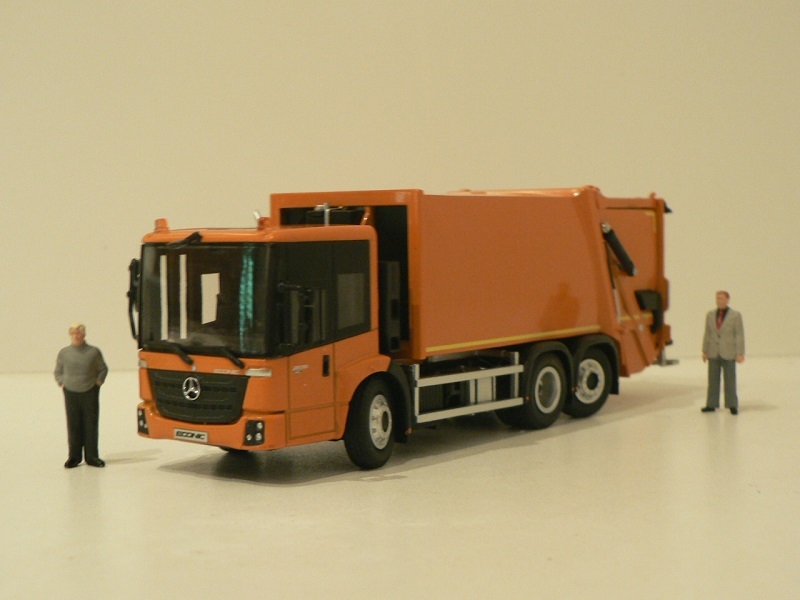 - on the right: Mercedes-Benz Econic 2635 6x2/4 carrier with FAUN Variopress 522 blade compaction refuse body (NZG model). 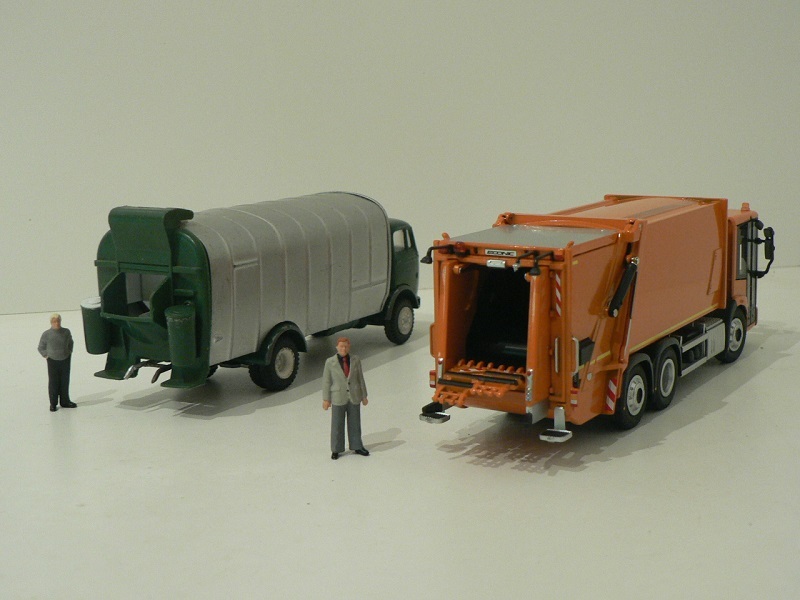 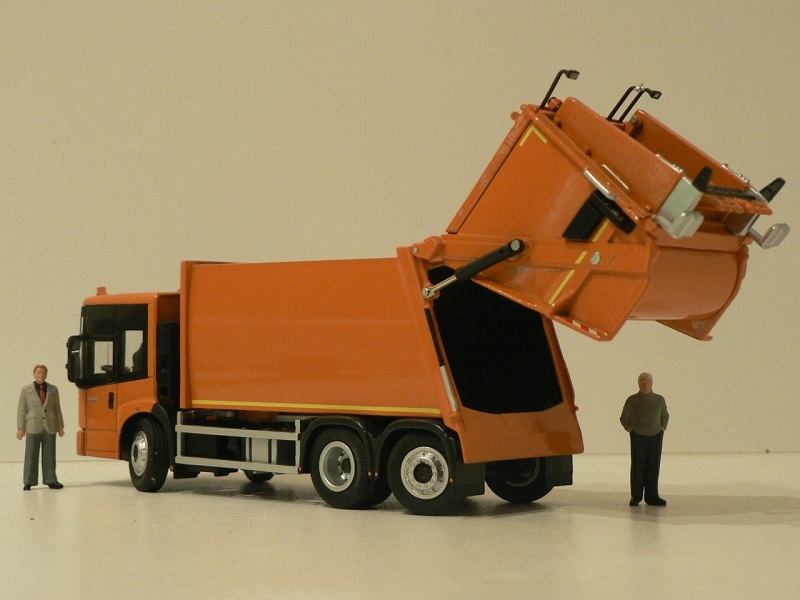 With the incorporation of Kuka in 1983, FAUN become the European leader for refuse bodies (in particular with their Rotopress model, a direct evolution of Kuka's 210 system), Variopress and Bullpress models or with their pallet system inherited from another company SITA-France, which was dropped a few years later after merger. 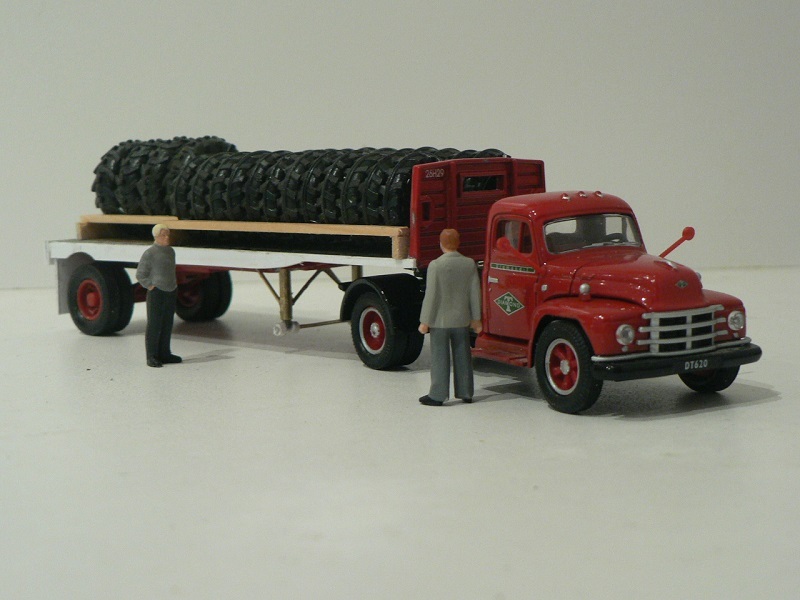 Guy thanks for the response, I still have a couple of the old Conrad ten wheel dumps with those tires on them. 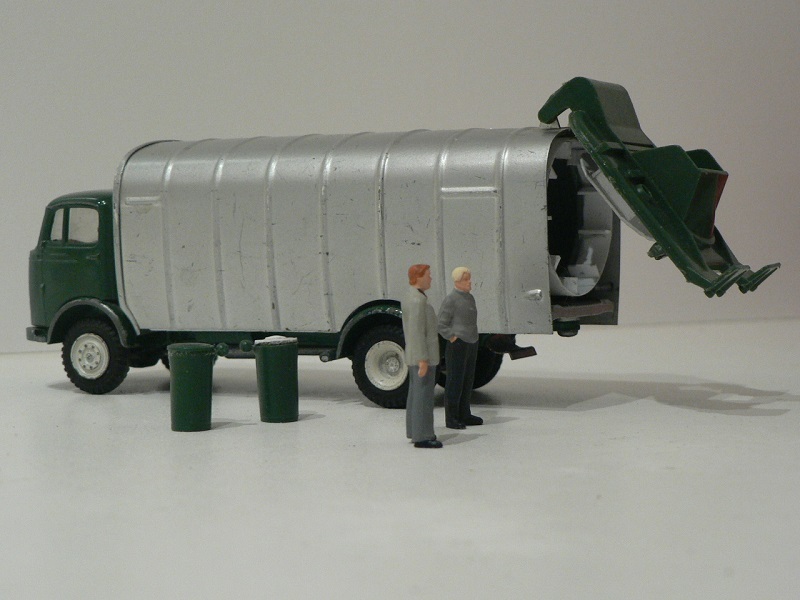 Great information and history about the sanitation business.